WiMo News Test Website | Why Hire a Professional Writer, Copy Writer or Journalist? Many people think that writing is easy and that they can do it themselves. It’s kind of like not hiring plumber when you need one. 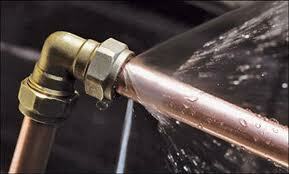 You may be able to fix the pipe for a little while but eventually it will cost you more in the long run. Professional writers know how to package information so that other people can understand it. They will interview you and your staff, to find out what is unique about your prodcut or service and show your worth in the best light. I recently have been reading ads for products in which the seller spells the name of the product wrong and doesn’t include enough enough information to help me to decide if I even want to contact the seller. If the seller doesn’t make the right impression immediately, I move on to the next ad. Buyers have been exposed to sophisticated advertising for their entire lives and if something is not written well, they will buy the product from your competitors. If Google and Bing can’t determine if you are better than your competitors, how can your potential customers know whether they want to buy your product or services? Professional writers have wealth of vocabulary and creativity, enabling us to craft text in a totally unique appropriate way. Your product or service is unique and writing about them should be just as unique as you are. Contact Freelance Now for an estimate and let us show you how creative we can be. « Do You Need a Ghost Writer or Editor?